The Beyond 440 is the top of the range Made For iPhone hearing aids in Widex's new "Beyond" range. The Beyond is based on the Unique hearing aid technology so it delivers outstanding sound quality and performance in everyday use. I have been exceptionally impressed with the results that I have seen with the Unique hearing aids so far. I have been fitting it for a while now and my customers have nothing but praise for the hearing devices. 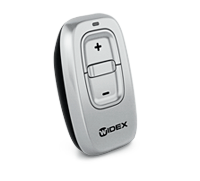 You can take a look at the full range of Widex hearing aids here. I have not had a great deal of experience with the Beyond hearing aids so far. The reports are pretty impressive, even rival manufacturers say that the streaming sound quality from Apple devices is the best in the business. However, reviews are good but mixed. The main sticking point seems to be problems with the connection between the aids and some Apple devices. This is something we are looking into right now so we will come back with some answers. 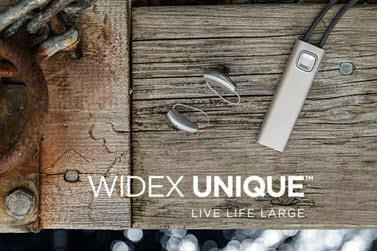 The Beyond is the very latest addition to the Widex Lineup, it is their first ever Made For iPhone hearing aid. It is a slightly changed Fusion device based on the Unique technology, and it has three different radios onboard, the one for Widex Link, a telecoil and the new radio for direct iPhone connection making it possible to stream music and conduct phone calls directly to the hearing aid without any intermediary device. Widex Products are famous for their sound quality, according to all of the reports, even from rival manufacturers, the sound quality here is outstanding. The device is slightly longer than the original Fusion but it is thinner, it also has a new button. 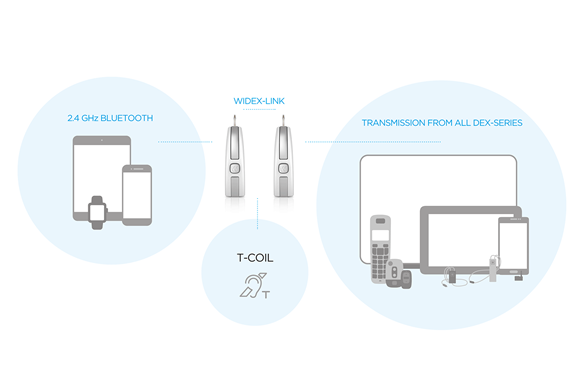 Retaining the Widex Link makes sense for several reasons. The first being, that it is still without a doubt, the single best system available for streaming high-quality audio. The second is that it will mean that any Widex users who upgrade their devices to the Beyond will still be able to use their Dex accessories. Retaining a T-Coil also makes some sense, the T-Coil system is making a huge resurgence in the United States and many in the UK and Ireland are used to using the T-Coil in public places. As we discovered retaining the WidexLink radio also ensured that all of the inter-ear features that Widex has become famous for also continue to work even if you are streaming audio to the hearing aids. The inter ear features, in particular, the inter-ear compression ensure that Widex hearing aids work as well as they do and sound so natural. 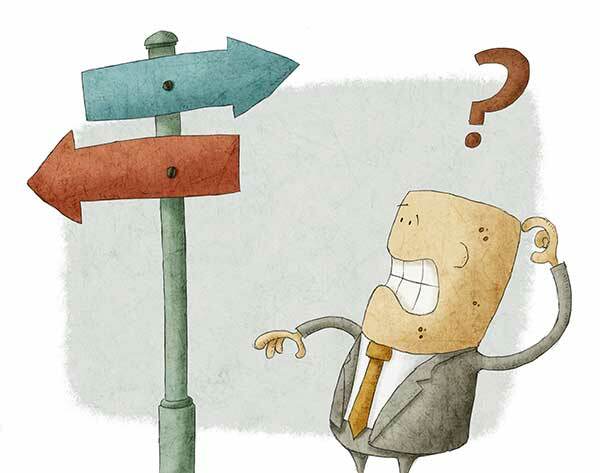 Confused About The Right Hearing Aid For You? Widex have also introduced a smartphone app with the Beyond which is currently available on ios and will soon be available on Android. The Beyond app seems to have the usual features that are available with Made For iPhone devices generally, you can set geo locations for different sound programmes and make changes to how the hearing aids are working on the go. However, there also seems to be an element of self-fine tuning on the app, whereby users can actually change the frequency response of the hearing aids. They are calling this feature the Preference Control and it seems to break down frequencies into three bands, Bass, Middle and Treble. It is interesting to see manufacturers begin to hand over this type of control to users. It means that you can have some control over how the hearing aid actually works as you change the sound settings. In March 2017, Widex added Geotagging and find my hearing aids to the BEYOND app as well as the ability to make personalized programs through the app. Widex released the BEYOND app for select Android phones this month as well. This will not allow direct streaming (must use one of our DEX accessories for streaming); however, this allows Android patients to utilize the app for the sound quality controls that are in the app. According to the Play store, the Android app works with the following phone models: Samsung Galaxy® S7, Samsung Galaxy® S7 Edge, Samsung Galaxy® S6, Samsung Galaxy® S6 Edge, Samsung Galaxy® Note 4, Samsung Galaxy® Note 5. We would expect the Beyond 440 range to be sold at prices from £1700.00 to £2200.00 in the UK depending on the Practice and location. We would expect the range to be sold at prices from €2400.00 to €3000.00 in Ireland. We would expect the range to be sold at prices from $2400.00 to $3200.00 in the USA. 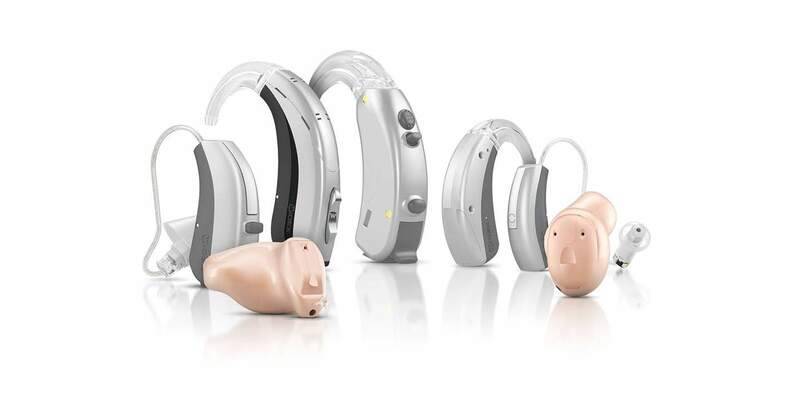 Looking For the Latest Widex Hearing Aids or A Hearing Test? There is just the one model available here, the Fusion 2 device. The Fusion 2 is a larger wireless receiver-in-canal device, it comes with a push button and telecoil and runs on a size 312 battery. The Fusion can be fitted with four separate types of receiver which ensures it can fit from mild all the way to severe to profound hearing losses. From £1700.00 to £2200.00 in the UK. from €2400.00 to €3000.00 in Ireland. From $2400.00 to $3200.00 in the USA. The Beyond 440 uses Widex's new U-platform chip which processes sounds across 15 channels. 15 channels is typical of all Widex top of the range aids. What is different for Widex though is the use of "Sound Class Technology", the hearing aid classifies what kind of sound environment you are currently in out of a choice of nine possible environments that are programmed in. It then adjusts the sound accordingly to maximise your ability to hear speech sounds clearly. The 440 has the most channels in the range and also has a "High-Frequency Boost" feature that isn't available in the lower models to give additional clarity when needed. IE technology allows both hearing aids to act as one system through the instantaneous wireless exchange of information. Widex uses this technology in order that the hearing aids can act as a true pair. The two hearing aids can synchronise their noise reduction, compression, and directionality settings, which allows them to not only enhance their effectiveness but to also deliver a more natural hearing experience to you. The preservation of these natural differences helps to provide you with a much better spatial awareness of sound. The IE technology also ensures the synchronization of volume adjustments and program changes between the two aids. 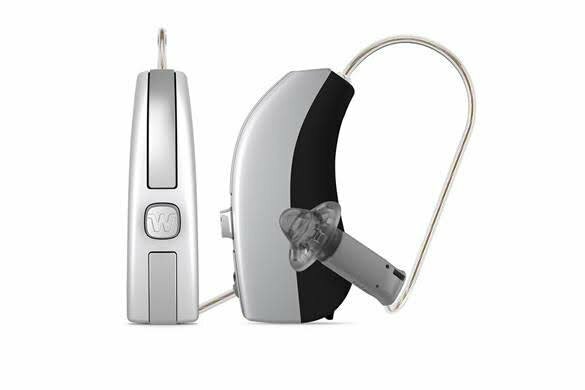 In the 440 it can even be used to sound an alarm when the wireless connection is lost between the two hearing aids (Partner Monitor). The aids can automatically detect and adapt in 9 different listening environments and focus on the most dominant speech signal detected in the environment. 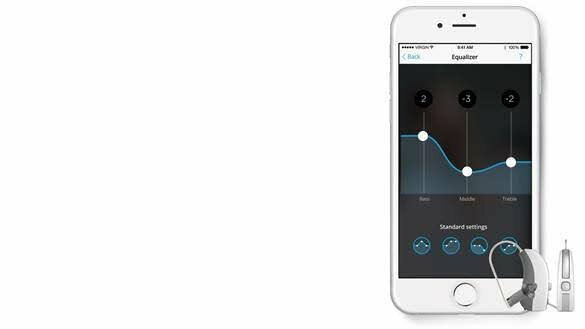 This feature is actually only available on a stand-alone phone program, the signal from the hearing aid you are using close to the phone is streamed to both hearing aids to help you hear better. Widex claims that it's new wind noise attenuation feature is an industry leading wind noise reduction feature. Widex don't make claims very lightly, so we would be of the opinion that if they say it, it is true. The Beyond 440 can attenuate more wind noise than any other hearing aid out there, no matter the direction the wind is coming from, even from directly ahead. However, this new feature is only available on the 440 models. All manufacturers have good background noise reduction features as standard these days. However, Widex has introduced a new feature that has extra emphasis on reducing softer, low-level background noise that may be annoying. Widex have always put great emphasis on soft sound inputs because they believe that soft sounds in speech are very important for understanding. However, there are soft input sounds that you just don't want to or need to hear, like a computer fan or the noise of a fridge. Widex have also introduced a wider dynamic range of hearing to the Beyond so you can hear more than ever. What this means is that most hearing aids take a range of sounds from quiet to loud and compress them into what hearing you have remaining to provide you with the full range of sounds for you to hear. They often ignore the very softest sounds and don't process louder sounds very well. What the Widex Beyond hearing aids are doing is extending that range slightly so that very very quiet sounds (5dB) that aren't picked up by normal hearing aids will now be processed enabling you to hear the low sounds that most hearing aids ignore. Nearly all modern Widex aids have the option to use Zen tones, Zen is a proprietary feature belonged to Widex that will help to reduce the effects of tinnitus. For tinnitus sufferers, these predictable yet non-repetitive sounds are used in combination with counselling and relaxation techniques to deliver tinnitus relief as a part of a tinnitus management programme. The all-new UNI-DEX is extremely easy to use. Simply plug the mini-jack cable into your mobile phone or audio device, hang the UNI-DEX around your neck, and you are ready to go.